There’s no way around it, golf is hard. But, if you play with the right people and go into it with the right attitude, it can be one of the most fun and rewarding activities you ever do. No one should go into the game of golf expecting to drive a ball like Bubba Watson or chip a ball like Phil Mickelson. Golf takes years of practice to master, but learning and improving your game is half the fun. A driving range allows new players to hit an infinite number of balls for a much lower cost and much lower pressure situation than a real golf course. Professional golfers spend far more time on the range and on putting greens than they do actually out on the course. Be sure to practice both driving and shorter chip shots as they are both equally important and vital to lowering your score. Golf gear can get pricey if you try to buy top of the line clubs, balls and gear. The truth of it is, golf equipment reaches a point where it is only marginally better for a large additional cost. If you’re playing for hundreds of thousands of dollars at the U.S. Open, this is well worth the investment. But, if you’re playing twice per month with a few friends, then it’s not worth such a large investment. Golfers are big on etiquette. With this comes an understanding of the rules and a respect for other players. There are countless resources online about the rules and proper etiquette when on the course. 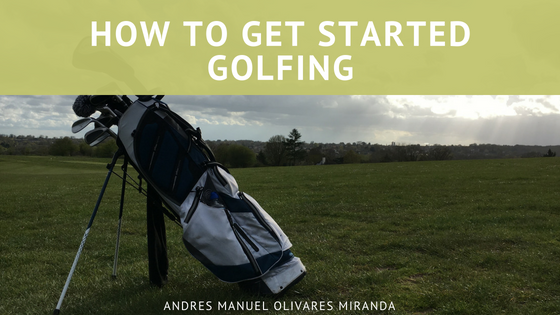 Your best bet is to make sure you go with an experienced golfer to show you the ropes the first time you go out on the course.